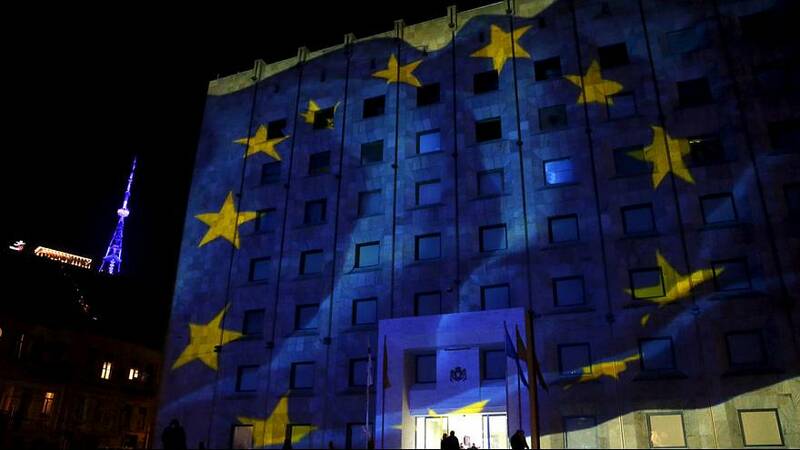 EU envoys have agreed a six-month rollover of the bloc’s economic sanctions on Russia. They were brought in last year over the Ukraine conflict – which is said to have killed more than 9,000 people. Measures are set to be extended on energy, banking and defence sectors until the end of July 2016. The decision will become final on Monday – unless any member state changes its position and lodges a formal objection. Meanwhile, the European Commission is backing visa-free, short-stay travel to the EU for Ukraine – as well as Georgia and Kosovo. The news for Kyiv comes after the Commission’s Jean-Claude Juncker met Ukrainian President Petro Poroshenko to iron out the last remaining issues. Formal, legislative proposals are expected to be presented to the European Council and Parliament early in the new year. “The Commission recommends visa liberalisation for Georgia, Kosovo and Ukraine. I call on on EU governments in the Council to take a speedy decision for these three countries,” said Juncker. For most Georgians and Ukrainians, visa-free travel to Europe would be the single biggest tangible gain from the countries’ moves towards joining the European mainstream, which have antagonised Russia. The visa move will be a bitter pill for Moscow to swallow. It has long been trying to secure visa-free EU access for business leaders. Liberalisation talks were suspended last year over Russia’s role in the Ukraine crisis.